Zoned R-2. Formerly a 2 flat. So many possibilities! Full dry basement offers an additional 1,069 SF. Can be finished for rental income with separate access. 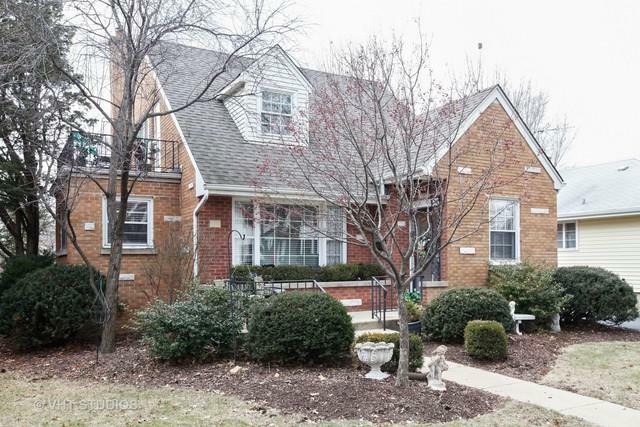 Charming all brick home, recently renovated, in Naperville's Historic area. Just a short walk to train, town, library, restaurants, shopping, beach. Beautiful Hardwood floors throughout. Inviting Living Room. Newer kitchen boasts custom white cabinetry, solid surface countertops, stainless steel appliances. Breakfast Area. Sun-lit Family Room, 1st Floor small Bedroom. 2nd floor Laundry. 2 generous sized bedrooms on 2nd floor. Newer 2 1/2 car garage. Newer Trex deck offers space for outdoor entertaining. The lot includes a driveway accessing from Julian St.going back to the garage & alley behind the house. Home has been meticulously maintained. Gorgeous gardens & pathway leading from the deck. Oozing with charm! Sold by L.W. Reedy Real Estate.